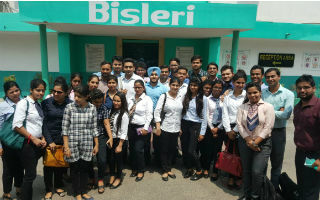 Industrial visit to Bisleri is always fascinating for the students. 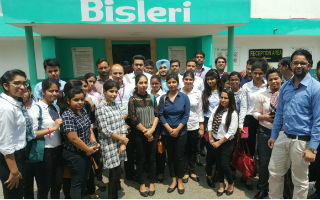 A batch of students visited Bisleri with a purpose of real time industry feel. The visit served multi-dimensional purpose. Initially marketing strategy with aim, mission, vision, objective and history of the company was discussed in a Board-room session. After that students were given with the idea of CSR activities carried out by the company. Students visited plant later on. They understood the operational components of manufacturing with assurance of quality management. The visit ended with a question - answer session. It was a fruitful learning that helped the students to reduce gap between theory and practice.